Location. 52° 24.481′ N, 1° 30.683′ W. Marker is in Coventry, England, in West Midlands. Marker can be reached from the intersection of Greyfriar’s Lane and High Street, on the left when traveling north. Touch for map. Located in City Center Plaza. Marker is at or near this postal address: 54/56 Broadgate, Coventry, England CV1 1NF, United Kingdom. Touch for directions. Other nearby markers. At least 8 other markers are within walking distance of this marker. 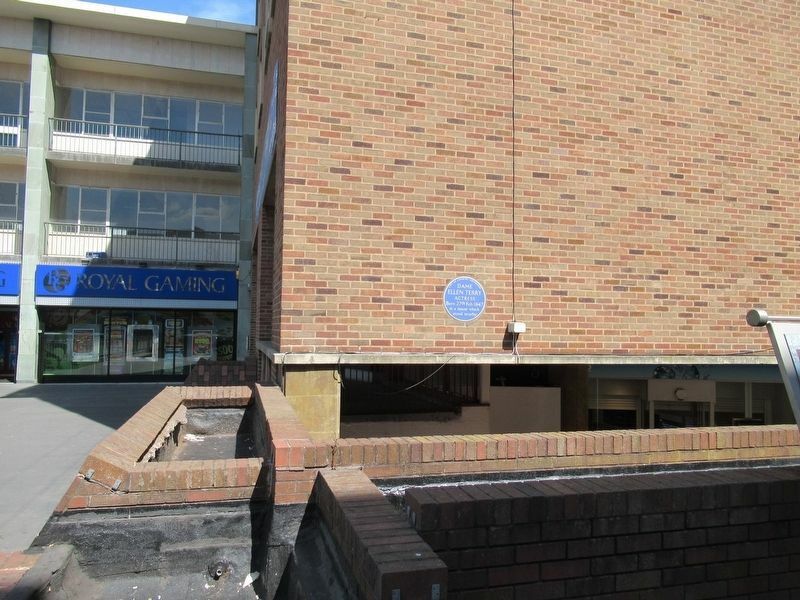 The Architect’s Vision (here, next to this marker); Donald Gibson CBE (a few steps from this marker); Godiva (within shouting distance of this marker); The Lychgate Cottages (about 180 meters away, measured in a direct line); Lady Godiva’s Cathedral (about 180 meters away); County Hall (about 180 meters away); The South West Tower (about 180 meters away); Ford’s Hospital (about 180 meters away). Touch for a list and map of all markers in Coventry. More. 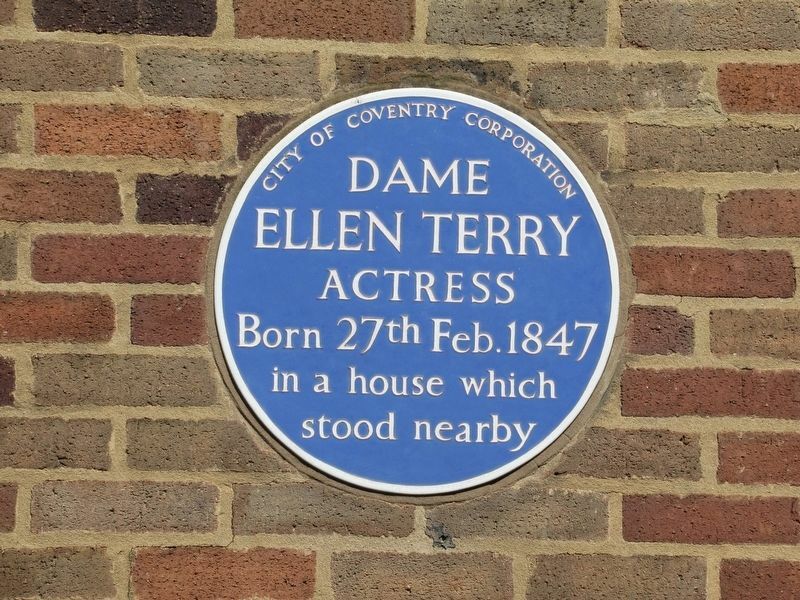 Search the internet for Dame Ellen Terry. Credits. This page was last revised on October 11, 2018. This page originally submitted on October 11, 2018, by Michael Herrick of Southbury, Connecticut. This page has been viewed 32 times since then and 5 times this year. Photos: 1, 2. submitted on October 11, 2018, by Michael Herrick of Southbury, Connecticut.